We are always on the look-out for experienced engineers. If you have 5 or more years experience in any of the following areas, we'd like to hear from you. Hardware Analog Design, Digital Design, Power, FPGA. 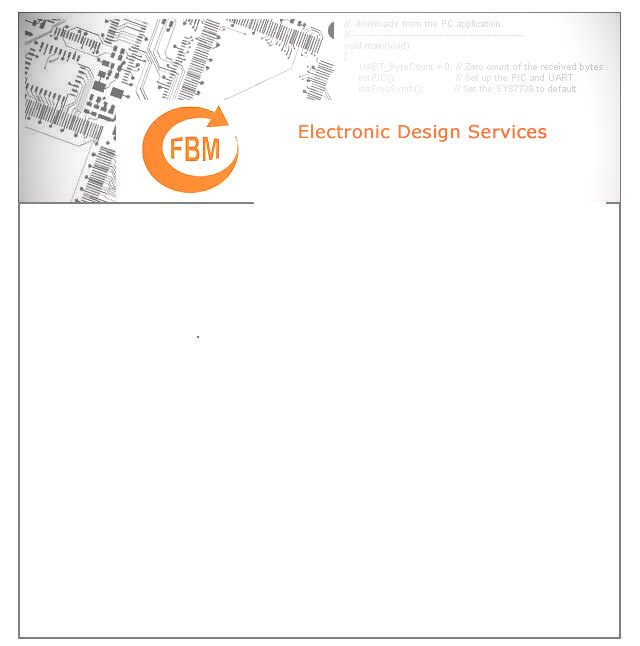 We are currently recruiting for the position of Senior Design Engineer with FBM. The ideal canditate will have a broad range of design experience, with strong skills in hardware design and/or embedded/FPGA development. Please view the complete job spec here.